Review of BuxHour: Is BuxHour a Scam or Legit PTC site? BuxHour Review: Is BuxHour a Scam or Paying or Legit PTC Site? BuxHour is a paid to click advertising service launched in June 2017. Members can earn money there simply by clicking on displayed advertisements. Members can also earn by referring other people(Direct Referrals) or by renting other members(Rented Referrals). Extra Ways to earn PTSU and Grid. It also has Dr contest to participate. Is BuxHour a Legit PTC site? No - BuxHour is No more Paying! Is BuxHour a Paying PTC site? Yes - It is a Scam Site. BuxHour Lost it's PayPal account and Admin decided not to continue with his business. Is BuxHour suspected or are there any complaints about it? Yes, It is no more paying! If you have any questions or other opinion about this ptc site then please comment below. 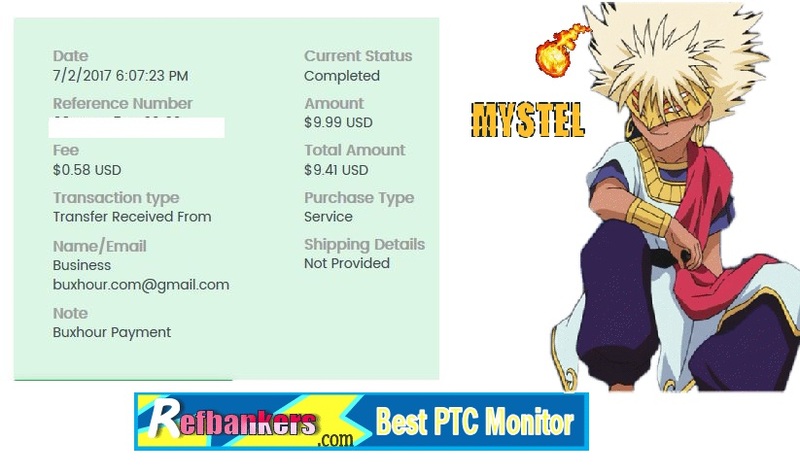 You can also post your Payment Proofs from this PTC site below. Status Changed to Scam because BuxHour announced that it will not pay anymore.